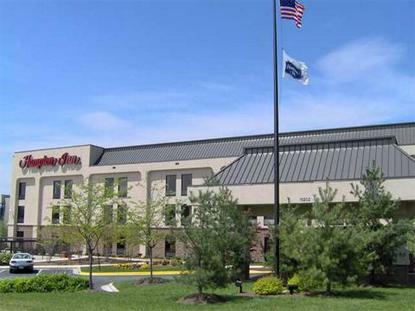 Hampton Inn-Bowie is located in Bowie Crossing, east of Washington D.C. and west of Annapolis, Maryland . Both Washington D.C. and Annapolis Maryland are approximately 15 minutes away driving time. Area attractions include a 14-screen movie theatre complex, Six Flags America Amusement Park, FedEx Stadium-Home of the NFL's Washington Redskins, Prince George's Stadium-Home of the Bowie Baysox, The Showplace Arena/Equestrian Center, Prince George's County Sports and Learning Complex, Bowie State University, and the United States Naval Academy. Within walking distance, you can dine at many national restaurants such as Smokey Bones, Tony Roma's, TGI Friday's, Olive Garden, Longhorn Steakhouse, UNO's Pizzeria, Panera Bread, and DuClaw Brewery. Via walkbridge, you can also enjoy fine shopping at the Bowie Town Center mall by Simons Property, featuring 88 specialty stores including Hecht's, Sears, Barne's & Noble, Bed Bath & Beyond, Victoria Secrets, Ann Taylor Loft, Benetton, Wilson's Leather, and Old Navy. We feature 103 spacious guestrooms equipped with large work station desks with ergonomic chair, 2 telephones, 2 datapaorts, voice mail, club chair or recliner, mini refrigerator, in room coffe maker, iron and ironing board, and hairdryer. Amenities include hot complimentary deluxe continental breakfast, wireless high speed internet access, on-site fitness center, safe deposit box, free local calls, free parking, premium cable channels including HBO, pay per view movies and Nintendo Game. Guest laundromat and rollaway beds are available for a nominal fee. Anyone visiting BWI in Aug?